CBDT issued a circular no. 20/2016 dated 26 May 2016 about time limit for e-filing appeal before CIT(A) is extended to June 15 from May 15. 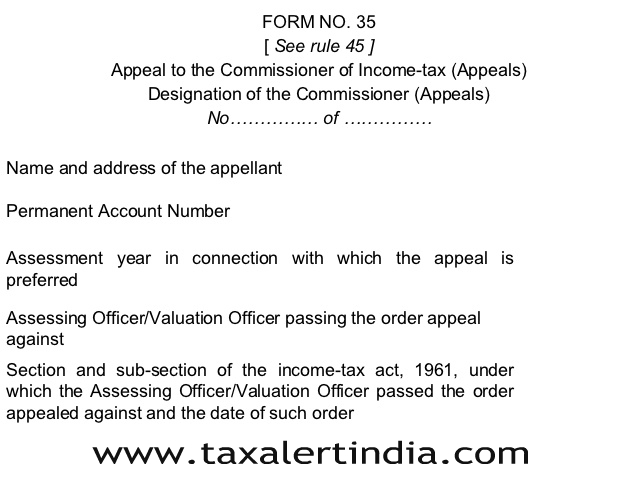 Rule 45 of the Income Tax Rules, 1962, mandates compulsory e-filing of appeals before Commissioners of Income Tax (Appeals) with effect from 1-3-2016 in respect of persons who are required to furnish return of income electronically. It has come to the notice of the Central Board of Direct Taxes (hereinafter referred to as the Board) that in some cases the taxpayers who were required to e-file Form 35, were unable to do so due to lack of knowledge about e-filing procedure and/or technical issues in e-filing. Also, the EVC functionality for verification of e-appeals was made operational from 12-5-2016 for individuals and from 19-5-2016 for other persons. Word limit for filing grounds of appeal and mapping of jurisdiction of Commissioners of Income Tax (Appeals) were also a cause of grievance in some cases. 2. The matter has been examined by the Board. While the underlying issues relating to e-filing of appeals have since been addressed and resolved, in order to mitigate any inconvenience caused to the taxpayers on account of the new requirement of mandatory e-filing appeals, it has been decided to extend the time limit for filing of such e-appeals. E-appeals which were due to be filed by 15-5-2016 can be filed up to 15-6-2016. All e-appeals filed within this extended period would be treated as appeals filed in time. 3. 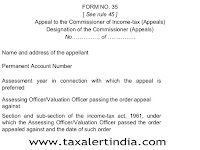 In view of the extended window for filing e-appeals, taxpayers who could not successfully e-file their appeal and had filed paper appeals are required to file an e-appeal in accordance with Rule 45 before the extended period i.e. 15-6-2016. Such e-appeals would also be treated as appeals filed within time.